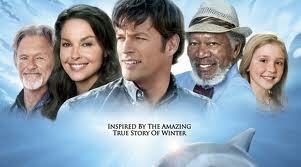 Last night, I watched the movie Dolphin Tale. While the movie was fantastically uplifting, and I thoroughly enjoyed it, the biggest treat was watching Harry Connick, Jr. be Harry. He played a marine bioligist and father, but about three quarters of the way through the movie, his character has a moment of struggle and he pulls out a saxophone to play. For anyone who is a fan of Harry’s music, this is truly a great movie moment. See the movie, and you’ll feel happy at the end and be treated to wonderful music. Just be sure to watch the credits. Dolphin Tale is based on a true story, and the credits show photos and video from the real life version.